When a Oracle SOA or BPM workflow task is assigned to a role and/or group a user may acquire the task to work on it. Once the task is acquired, other users are not able to work on that specific task. 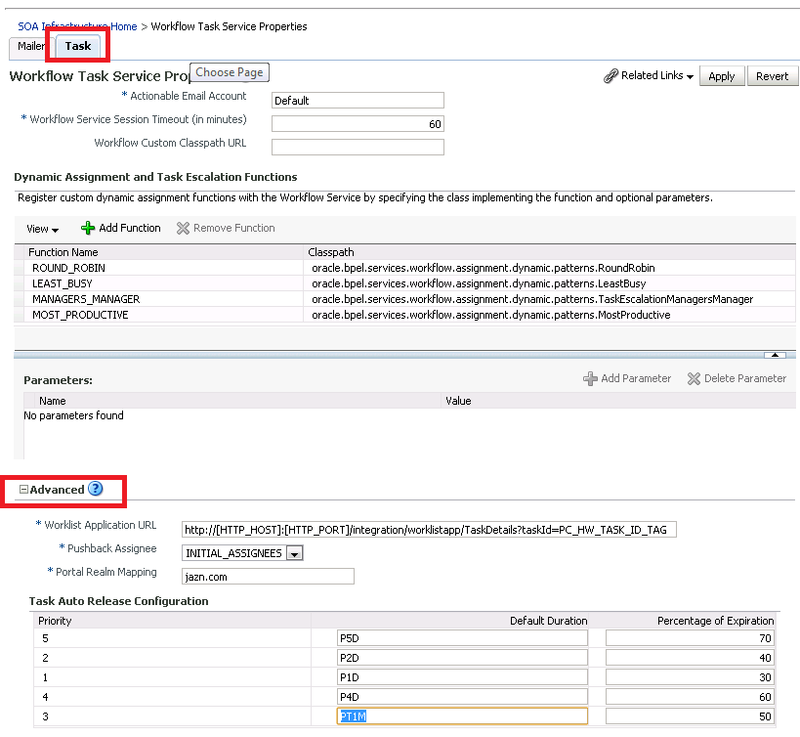 In the Oracle SOA-INFRA, used by both SOA Suite and BPM Suite, there is a feature called ‘task auto release’ which allows to configure the duration before tasks are automatically released and made available for all other users again. Select the Task tab and expand Advanced. There you can see there are default values for automatically releasing tasks according to their priority. In the screenshot below the default value of P3D (3 Days) is changed to P1TM (1 minute) for testing purposes. This is done for the priority 3 task, which is the default priority. Another feature is to use the expiration data (most right column) of tasks. 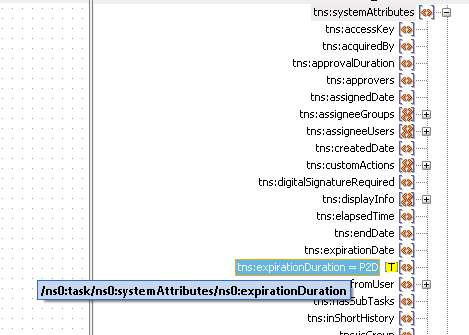 This feature only works when you map the expiration Duration element in your BPEL or BPM tasks. In the example below the duration is set to P2D (2 days) which means with a priority 3 task the task is released after 1 day (50%).